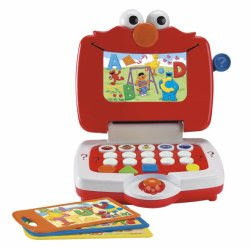 Elmo's Learning Fun Laptop is an electronic learning aid that helps preschoolers learn numbers, colors, shapes and letters of the alphabet through character phrases and music. The laptop includes four double-sided cards that kids can insert into the screen. Each side of the cards offers a different scene and curriculum. 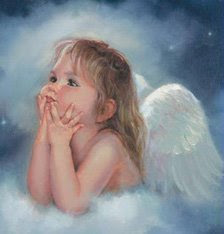 Kids can open the laptop to hear a fun tune; and another tune plays as each card is inserted. Laptop features two modes: identify and quiz mode. When not in use, cards slide into the storage area, which keeps them safely in place. Press the quiz button for questions and prompts relating to the pictures on the screen. (Also watch Elmo's eyes move from left to right when the button is pressed!) Requires 3 "AA" and 3 "AAA" batteries, included. Measures 9.25"H x 7.75"W x 7.5"L.